If you are an occupational therapist, work in human services, or have an adult family member with an intellectual or developmental disability, you know that teaching daily living skills takes patience, repetition and demonstration. Often we use role playing, workbooks and computer programs to assist us in getting the content across, as learning this stuff can be a challenging experience for many. 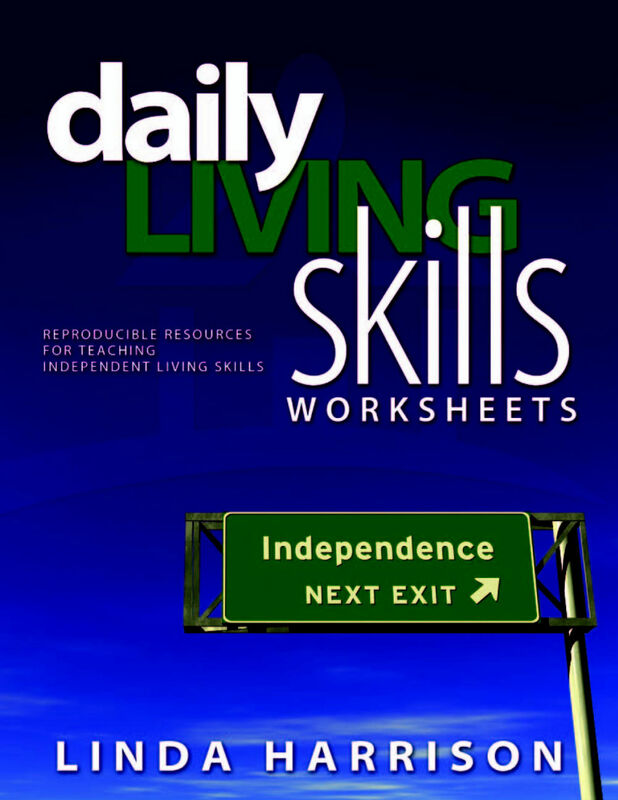 Linda Harrison’s “Daily Living Skills Worksheets” is a great teaching aid for content related to Memory/ safety, Leisure/productivity, Communication, Managing Meetings, Problem Solving/reflection and Recording thoughts and feelings. Each worksheet is accompanied by guidelines that include the purpose and directions for use, including helpful tips. I can see this being a helpful tool when an individual is moving into a new residence, is having difficulty living on their own, lacks initiative for creating structure in their routine, or lacks awareness of personal hygiene and health, which all can be barriers to living independently. Many worksheets deal with budgeting, home and community management, as well as medication management. There are even a few sheets that deal with social skills. The importance of first assessing barriers to independence and identifying which occupational performance components to measure, cannot go unmentioned here. The OT, teacher or caregiver should focus on the concepts that require improvement, and not overwhelm the student with working through several concepts at once by working through these sheets quickly. In my experience, choosing one area of focus for several sessions and allowing the student to absorb the information, practice the skills and apply them to their life, is best, before moving other areas. Using SMART goals are a great way to know when it is time to move onto the next concept. It is refreshing to see occupational therapists sharing information and tools, while making them accessible to all, in order to improve our practices and assist new OT’s in their professional development. You can learn more about this resource at www. dailylivingskills.com.